No one can deny that the game of baseball is changing, especially at the Major League level. In today’s era of bombs and K’s, what statistics have the strongest correlation to wins in the MLB? This season was the first in MLB history where there were more strikeouts than hits. However, home run rates have also been at record highs, as hitters have posted three of the top four seasons in MLB history in home runs per game in 2016, 2017, and 2018. While a power-pitching vs. power-hitting movement has taken over the MLB, have these trends also led to wins in the best baseball league in the world? The approach taken to win a baseball game has become a contentious topic for fans and analysts in recent years because of these subjects, often pitting older baseball followers against younger baseball minds. We recently put up a twitter poll on our account (@BFTBsports) asking fans what stat they thought had the strongest correlation to wins in 2018. Hey Sports fans! In today's evolving game of baseball, which stat do you think had the strongest correlation with wins in the 2018 MLB Season? The crowd was pretty smart, as the options that tied for first in the voting (opponent OPS and strikeouts) did have the first and second strongest correlations (more on strikeouts later). Opponent OPS had a correlation of -0.86, which meant that the teams that won games also had some of the lowest opponent OPS’s. Meanwhile, ERA (and runs allowed) were the only stats that I measured that had a stronger correlation to wins, with a coefficient of -0.88. Stats such as opponent slugging percentage, opponent average, and WHIP all also had correlations stronger than -0.80, while none of the offensive statistics besides runs and OPS had correlations stronger than 0.80. To make sure this wasn’t a one-year fluke, I also looked at state from 2016 and 2017. Pitching was a better indicator of success in those seasons as well, but to an even greater extent. The proof is in the pudding here. On a team level, good pitching does beat good hitting in the MLB’s recent history. These charts also show the value of walks from the batting side of the equation, and also has some interesting results when considering batting average (which we will touch on more later). Pitcher strikeouts are not only more prevalent, but a better indicator of team success than they were 10 years ago. As noted above, strikeouts have increased dramatically as more pitchers are trying to “miss bats” as opposed to “pitching to contact”. The K/9 rates have changed significantly over the past decade. In 2006, 2007, and 2008, the average K/9 rates were 6.6, 6.7 and 6.8, respectively. The past three years have seen marks of 8.1 (2016), 8.3 (2017), and 8.5 (2018). (stats courtesy of Baseball Reference). Teams that have embraced the movement and have been able to increase their strikeout rates have been fairly successful when it comes to winning games.The correlations for strikeouts to wins in the last three years have all been above 0.5, topping out at 0.74 in 2018. In comparison, the correlation for strikeouts to wins in 2006-2008 were all below 0.40, bottoming out at 0.16 in 2007. Here is a little illustration to show how the importance of strikeouts has grown. In 2017, the top eight teams in K/9 all made the playoffs, and just the second wildcards in each league (the Twins and the Rockies) were below league average in K/9 among postseason teams. In 2018, each of the top 14 teams in strikeouts had at least 80 wins, and the top five teams (Astros, Yankees, Dodgers, Red Sox, and Indians) each had 90 wins and made the playoffs. The Astros are a prime example of a strikeout-focused approach working to perfection. In 2013, Houston finished with just 51 wins and a strikeout rate of 6.78 per nine innings. 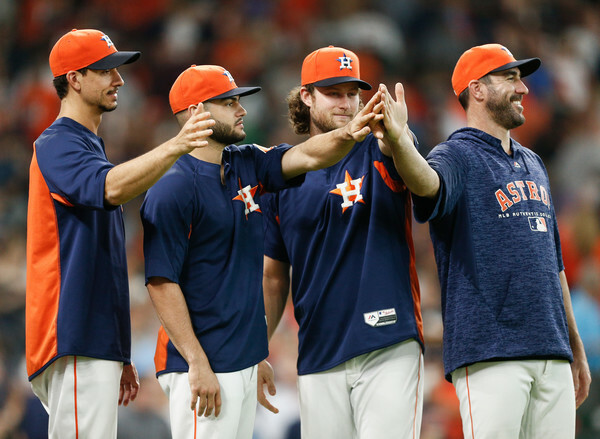 The Astros have been able to increase their strikeout rate each year afterwards, going from a bottomof the barrel team to one of the most feared squads in the American League. Houston has finished in the top five in strikeouts each of the last three years, and boasts one of the best pitching staffs in the MLB. Successful teams have focused less and less on speed in recent years, and it has showed. Teams stole an average of just 0.51 bases per game in 2018, the lowest since 1972. In the last three seasons, the average correlation for stolen bases to wins was just 0.05, indicating that there was nearly no correlation between steals and wins. While the correlation between wins and swipes varies significantly from year-to-year, it is notable that in 2008, stolen bases has a correlation of .54, nearly double each of the past three seasons. So what is the value of having a bevy of speedsters on your teams who can leg out a triple to the alley or swipe 40 bags in a season? In 2018, those speed statistics were not strong indicators of wins, as evidenced by the graphs below. Batting average is the stat that most thought was the ole’ reliable for measuring hitting success for many years. And while some still do use this stat as their top measurement for for evaluating hitters, it just isn’t as accurate, especially in a team setting. Take a look at batting average’s average correlation to wins in the past three seasons compared to some other hitting statistics. It would make sense that the correlation between wins and batting average would rank behind OBP, OPS, and even slugging percentage, but it also is trailing walks when looking at correlation to wins. Aside from showing us the overvaluation of batting average in today’s baseball world, this graphic also shows the importance of patience and a good approach at the plate. Teams with a higher on-base percentage have seen the most success in the last three seasons, also evidenced by the fairly strong correlation of wins to walks. The power of patient-hitting was evident last season, as all but two of the playoff teams ranked in the top half of Major League Baseball in walks. And while home runs didn’t have as strong of a correlation overall, eight of the top 10 teams in bombs reached postseason. In an era of fiery fastballs and hard-hacking hitters, Major League Baseball is undergoing some significant changes. And while many may not want to accept it, the path to victory in the MLB is changing too.